By the time I publish this, we’ll be at or around the 24-hour mark since WikiLeaks announced that two high-level Ecuadorian government insiders had told them that Julian Assange faces eviction from the Ecuadorian embassy within days, which seems to have been further confirmed by the Foreign Minister of Ecuador now tweeting that states have the right to revoke political asylum at any time. Activists are mobilizing everywhere, a round-the-clock presence has been set up outside the Ecuadorian embassy in London, and a #Unity4J emergency broadcast is currently underway full of many respected dissident voices coming together in defense of the legendary leak publisher. Now, aside from the established fact that the U.S. government’s agenda to prosecute Assange has nothing to do with the 2016 election but with the exposure of U.S. war crimes six years earlier, this is also a completely fallacious argument from top to bottom. Claiming that something ought to happen because of how your feelings feel is very obviously a logical fallacy, but this kind of argument comprises the entirety of support for Assange’s imprisonment that Assange defenders encounter on a regular basis. This happens because the smear campaign that has been used by the western political/media class to manufacture support for Assange’s silencing and imprisonment has its foundation not in fact, but in emotion. Smear campaigns are by their nature emotional at their core, because they are intended to elicit public disgust, disdain, and hatred for their target. That’s why you’ll see so many mainstream news media articles claiming that Assange smells bad, for example, despite that having nothing whatsoever to do with the legitimacy or illegitimacy of Assange’s work. The goal is not to present a factual case for why it would be more helpful than harmful to prosecute the WikiLeaks founder, the goal is to make people feel disgust for him and, by extension, disgust for his work as well. So, naturally, because they are constantly being inundated with establishment propaganda about Assange consisting of nothing other than appeals to emotion, mainstream liberals are going to believe that spewing vitriol about how their feelings feel is a perfectly legitimate response to his name coming up in political discourse. This is all they have had modeled for them in responding to Assange’s plight. It’s been normalized for them. Another reason the Assange smears focus on emotion rather than facts is because the facts are very contrary to the interests of the smear merchants. 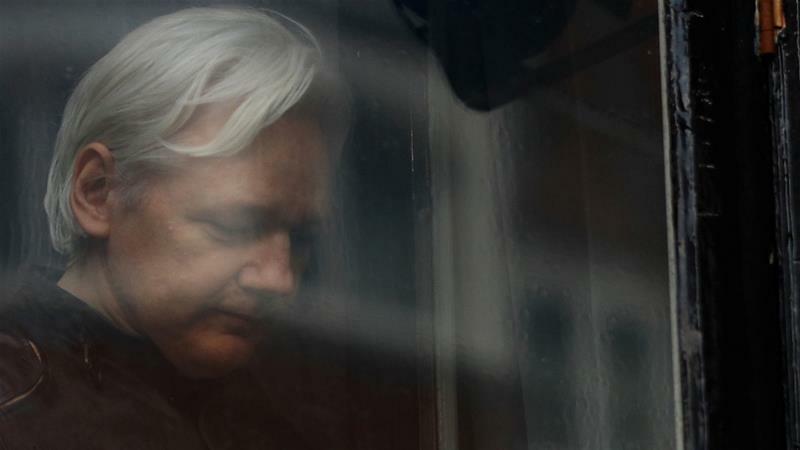 The facts are that prosecuting Julian Assange under the Espionage Act for exposing U.S. war crimes, as the Trump administration is attempting to do, would strike a devastating blow to press freedoms around the world. This is because there are no legal distinctions in place separating an outlet like WikiLeaks from outlets like The New York Times, the Washington Post, or The Guardian, meaning that a precedent would be set allowing for the prosecution of those outlets on the same grounds, who also publish anonymous government leaks. Which is why The New York Times, the Washington Post and The Guardian have all warned sternly of this precedent, which has also been recognized by the Obama administration. These are facts regardless of how much your emotions have been coddled by your favorite pundits, your university professors, your political cliques, and your echo chamber. These are facts. It does not matter how your feelings feel. Your feelings are irrelevant to this conversation. Only facts matter here. And the facts say that everyone, regardless of how they feel about Assange, must defend him against the U.S. government’s attempts to prosecute him for publishing inconvenient truths. Not because it’s the right thing to do, not because anyone expects you to behave in a moral way, but out of sheer, garden variety self-interest. We all need the ability to hold power to account, and the prosecution of Assange will necessarily cripple our ability to do that. This is a fact. Regardless of how your feelings feel.